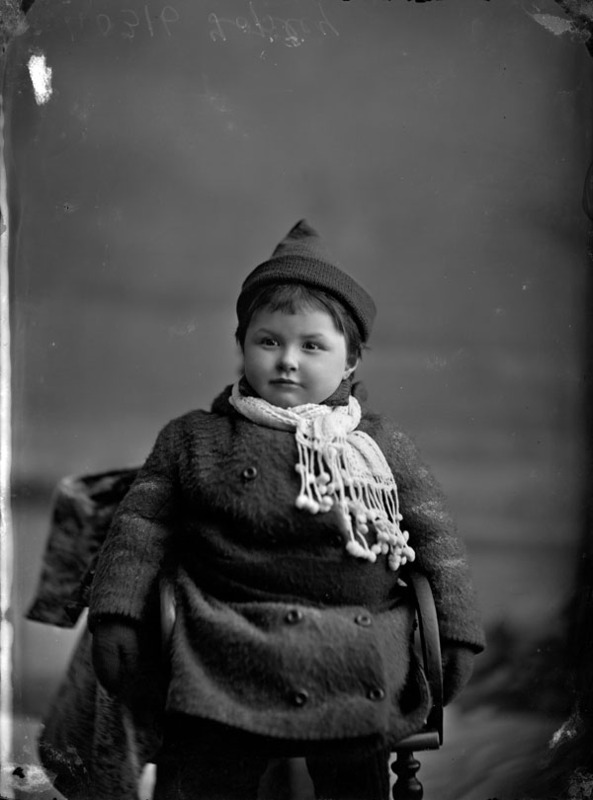 The William Topley collection at Library and Archives Canada is an invaluable resource for those interested in nineteenth-century Canadian photographic portraiture. Comprised of over 150,000 glass plate negatives as well as studio proofs and counter books, the Topley collection dates from 1868 to 1923, and illustrates the prolific career of Topley, a Montreal-area native, who began his solo career by opening a branch of the William Notman studio on Ottawa’s Wellington Street. 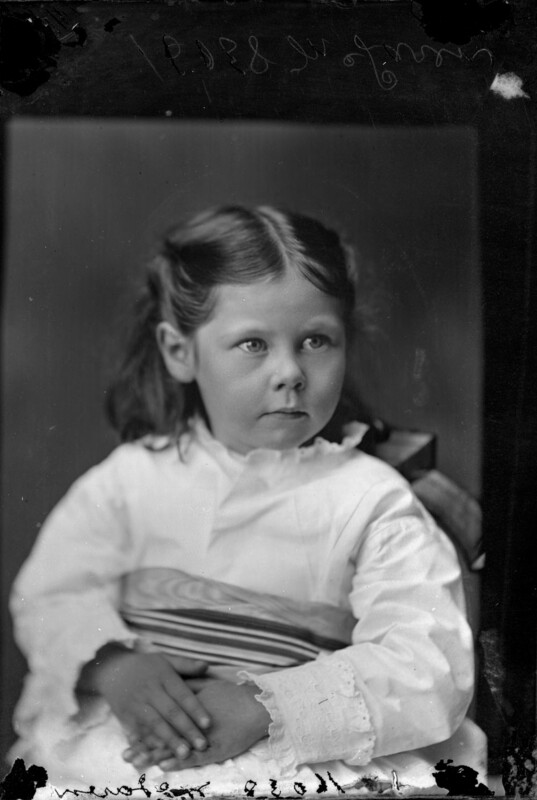 While Topley did photograph subject matter other than people, portraits were his chosen specialty and the collection is a wonderful example of early Canadian studio work. By the early 1870s Topley had purchased the studio he had been managing for William Notman, and was attracting upwards of 2,300 sitters per year. Topley’s prestigious downtown Ottawa location—he moved multiple times over the years, but always within walking distance to parliament—meant he attracted much of the city’s elite, including politicians and other important figures, who made their way to the photographer’s studio to have their portraits taken. 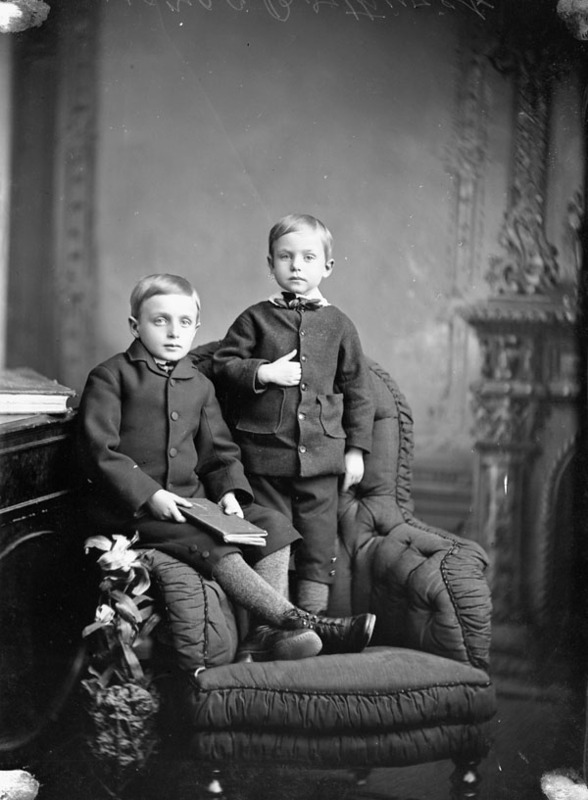 Children were often the subject of these portraits, posing alone or with siblings. In looking through these images we notice not only recognizable names, identifying some of these children as the offspring of the capital city’s movers and shakers, but something unchanged despite the time period. We see beyond the formality, the constricting clothing and stiff poses, and recognize that these portraits are not too different from those we might take today. 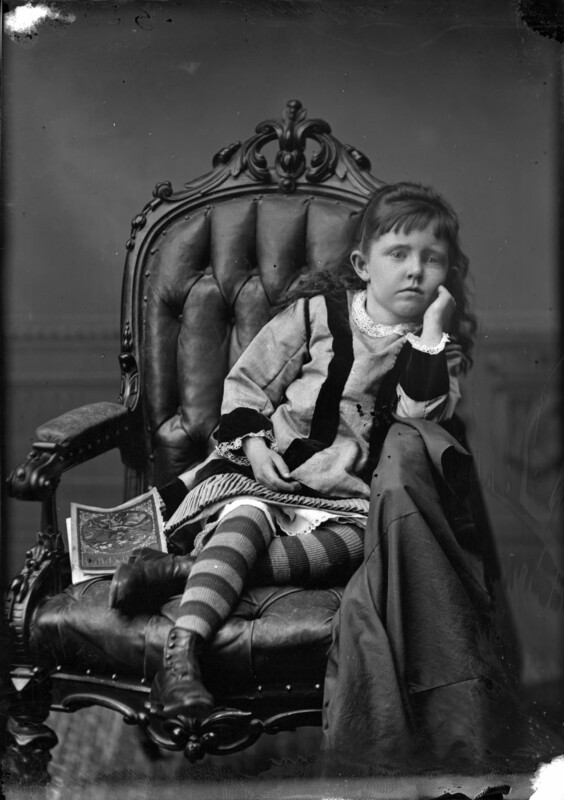 We recognize children dressed up for a photo, attempting to sit still, looking either overly eager or slightly bored. Studio photographers of this era often had clients pose with props, and Topley was no different. In his portraits of children we notice items like books, skipping ropes, dolls or pets clutched in the hands of the small sitters. Some children stand or sit up very straight with serious, concentrated expressions on their faces, while others lounge tiredly in chairs. In these ones especially, we can imagine how tedious the long exposures must have felt to a child, how many plates the photographer might have had to take to get a proper, non-blurry image. Also interesting are the portraits of babies with hidden, or barely-in-the-frame mothers. 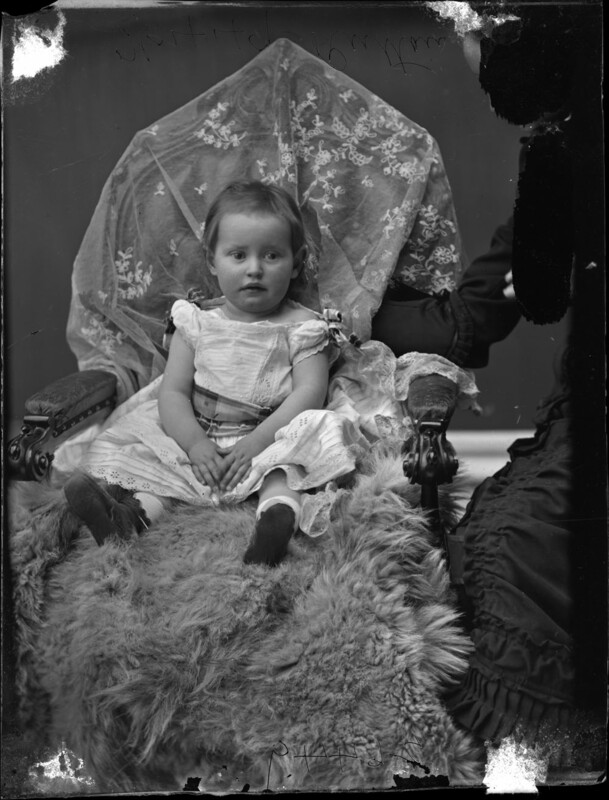 It was quite common at the time for babies to sit on their mothers’ laps for a portrait, while a blanket or other fabric was thrown over the mother so that only the baby would be the focus. In several of Topley’s portraits of babies, we see a more subtle approach, with the mother encouraging the child from the edge of the frame. The photographer would later crop the mother out for the final print. These wonderful portraits provide an alternative perspective on the face of Canada’s capital in the nineteenth century, and seem to offer a bridge from past to present, where some things never change. This entry was posted in Photography and tagged glass plate, nineteenth century, Ottawa, Photograph, portrait, William Topley by Library and Archives Canada Blog. Bookmark the permalink.